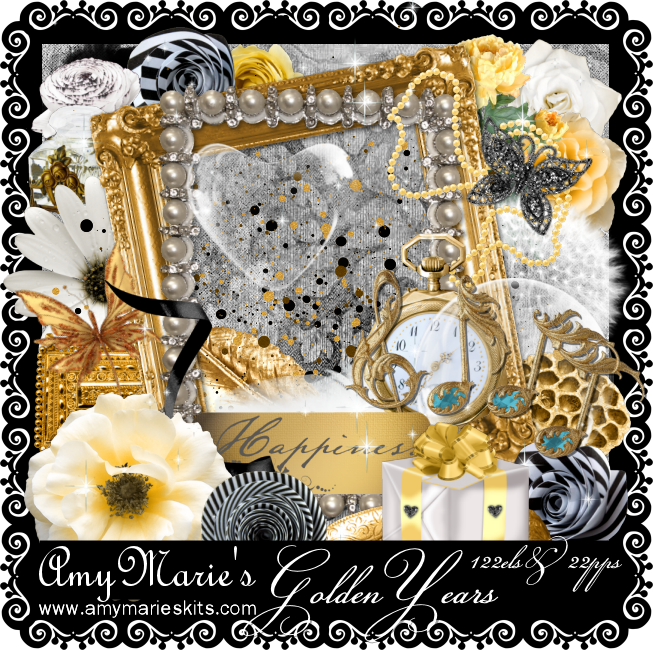 Golden Years is a brand new kit from Amy Marie. This is one of those kits where you can use it for many different tag styles. Created in gold & black it will suit quite a lot of different tubes. The kit contains 22 papers & 122 elements. Amy Marie decided to go back to using our other CT Blog so to check it out click here.